Only Skin: New Tales of the Slow Apocalypse gathers the previously serialized black-and-white comic epic by Sean Ford into a single graphic novel - with the addition of several dozen new pages, and an improved ending! A dark portrayal of rural America, seen from the perspective of orphaned siblings, Only Skin details the problems of people struggling to survive amid poverty and local corruption. Something is causing townspeople to disappear into the woods without a trace. But which is more evil - the lurking horror of ghosts, the hypocrisy of seemingly ordinary people who sell each other out for personal gain, or the murderous impulses of human hearts? Grim and suspenseful, Only Skin is as memorable as it is unsettling, and highly recommended for connoisseurs of quality independent graphic novels. 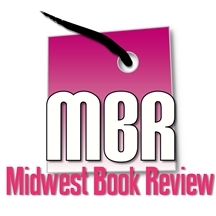 The Midwest Book Review is an organization of volunteers committed to promoting literacy, library usage, and small press publishing. We accept no funds from authors or publishers. Full permission is given to post any of these reviews on thematically appropriate websites, newsgroups, listserves, internet discussion groups, organizational newsletters, or to interested individuals. Please give the Midwest Book Review a credit line when doing so. To submit reviews of any fiction or non-fiction books, email them to Frugalmuse (at) aol (dot) com (Be sure to include the book title, author, publisher, publisher address, publisher website/phone number, 13-digit ISBN number, and list price).